At Montpelier, the home of President James Madison, in Orange, Virginia. 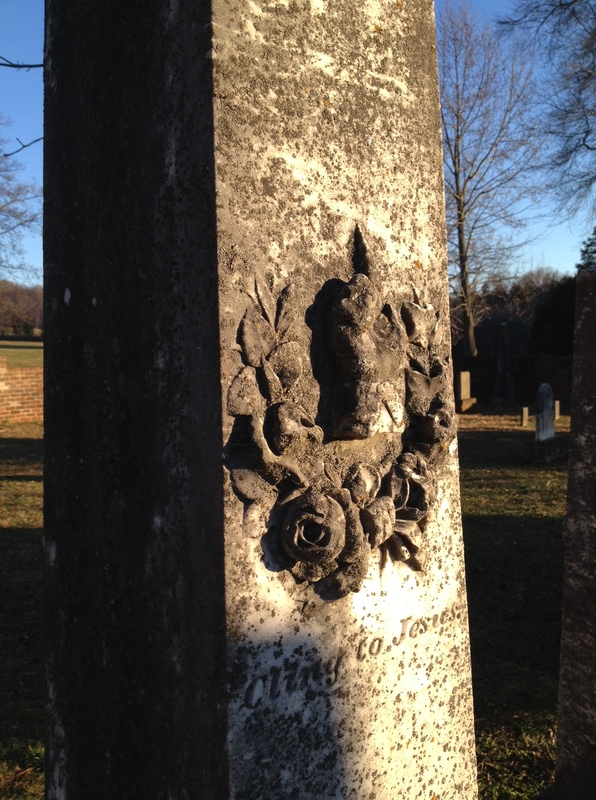 This stone was in the family cemetery located near the site of the family’s original home to which they relocated from the Tidewater area in the early 18th Century. That January afternoon, the rays of the setting winter sun highlighted the message that has endured long after the names on the monument lost their association with the loving, callous-handed people buried there. Maybe that is what they intended. Maybe that’s why I admire them. In a time when social media was literally carved in stone, here is their text message that endures with relevance, two hundred years later. 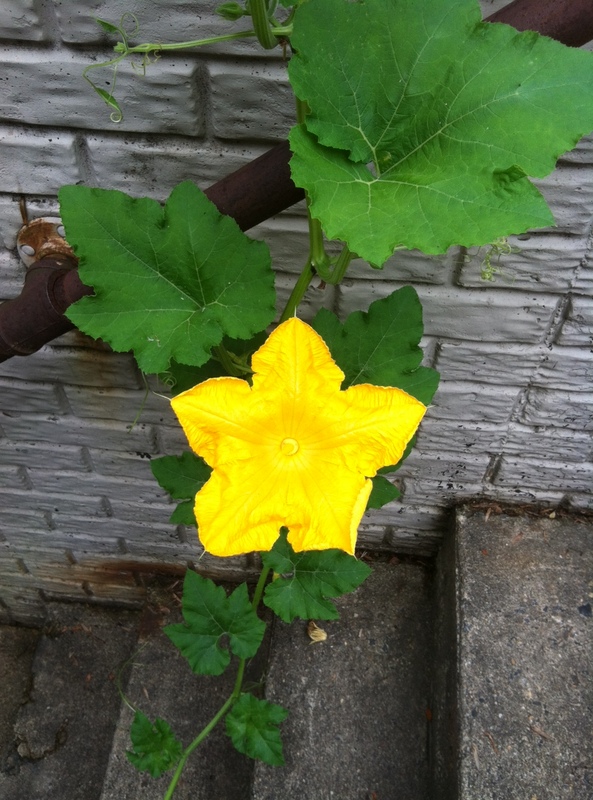 The largess of nature provides for squash flowers to bloom as their vine drapes comfortably down the basement stairs. Stark, aging, manmade materials provide a beautiful contrast behind the lush green and vibrant orangy-yellow of this fleeting blossom. I saw the bloom when I opened the curtains, and went racing out to capture it in the light of the rising sun. Good thing, too, because by midmorning, the edges of the bloom were crumpling, and by the end of the day, it was a closed, withered dead end. The next day, however, the immature blossom below this had filled out, waiting for bug, bee, or breeze to trade its pollen with another.